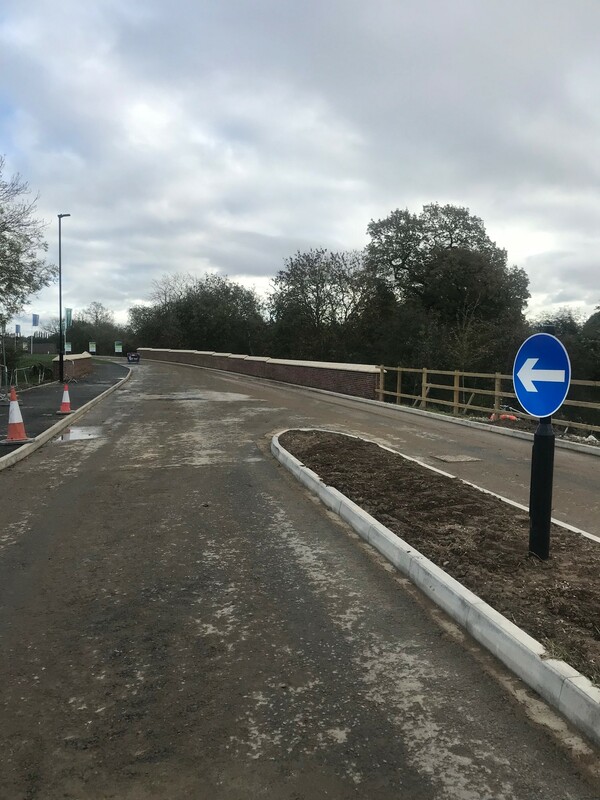 We are now at the end of our works to construct the new junction off the A19 into the Persimmon residential development, known as Germany Beck. I appreciate that the works have taken longer than expected and would like to thank you for bearing with us through the periods of disruption you have experienced during the past 2 years. Commmencing Wednesday 21st November we will be carrying out the final surfacing to all remaining footpaths on the spine road and also the A19. On 23rd November we will be carrying out the final surfacing to the new road. This will include the completion of the final layer of surfacing of the spine road to as far as the Persimmon marketing suite, the new slip road off Fordlands Road (north) onto the spine road and also the final layer of surfacing to the Fordlands Road (south) junction with the new spine road. However, Fordlands Road is very narrow, at just 5.5m wide over the culvert. 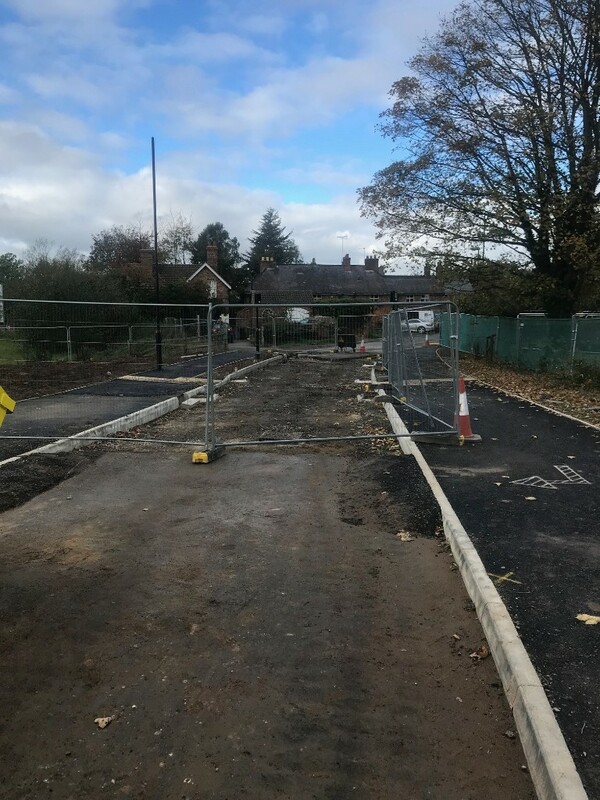 Previously, when laying tarmac in this area we have been able to lay the tarmac in small sections, by hand, and therefore we have been able to keep Fordlands Road open, with some small duration hold-ups for traffic. The final surface layer of the road has to be laid by machine. The width of the surfacing machine means that no traffic will be able to pass by when we are placing the final layer. There is no alternative method for laying this final layer of surfacing. Whilst we fully appreciate that there is no alternative route into Fulford South, we need to close the road to carry out these works. Fordlands Road south of the spine road will be closed on Friday 23rd November between 9pm, and 3am the following morning. In the event that the emergency services require access down Fordlands Road we will immediately grant them access. However, should you require access through the surfacing works at this time you may be held up for up to an hour until it is possible to let you through. If you require immediate access through the works on the night due to an emergency, please ring Project Manager Wayne McCutcheon on 07793 244495. Please also ring Wayne in the next couple of days if you need to discuss access to your property during the above times. The closure of Fordlands Road for this short period has the full agreement of CYC. There is likely to be some excessive noise in the early part of the evening as we break out some of the old Fordlands Road surface. A letter will be hand delivered to every property of Fulford, south of the spine road, that will be affected by these works during the next couple of days, covering the information in this electronic newsletter. Following the surfacing all the footpaths will finally be open to the public. Road markings will be installed the week after the completion of the surfacing works. A period of inspections, snagging and a general tidy up will complete the junction works over the next 4 weeks.